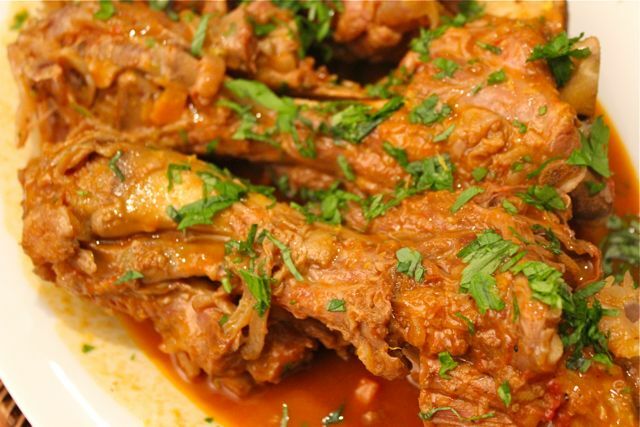 Market Manila - Braised Veal Shanks Milanese Style… - Beef/Lamb, etc. 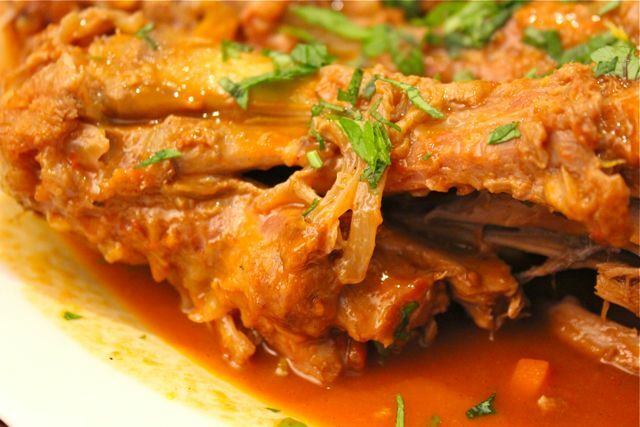 To make, dry the shanks with paper towels, season with salt and pepper, lightly coat with flour and brown or caramelize all over in vegetable oil. Remove the oil, add some olive oil, and sweat some onions, celery and carrots. Add some tomato paste and cook it for 30 seconds or so, then add a cup or more of white wine and burn off the alcohol, then add some crushed of chopped canned tomatoes. Make a bouquet garni of fresh or dried bay leaves, thyme, a few cloves) and add to pot. Add several cups of beef broth, several rinds (no pith) of orange and lemon and let this simmer away for 1.5 hours until the meat is tender. It may take longer if your shanks are really big. The aroma that fills your kitchen and home is terrific, much better than a scented candle. P.S. Add some chopped Italian parsley, freshly grated lemon rind and some finely minced garlic just before serving if you like, in true osso buco milanese style. I tend to omit the raw garlic as I find it overwhelming. i’m having this with crusty garlic-bread. 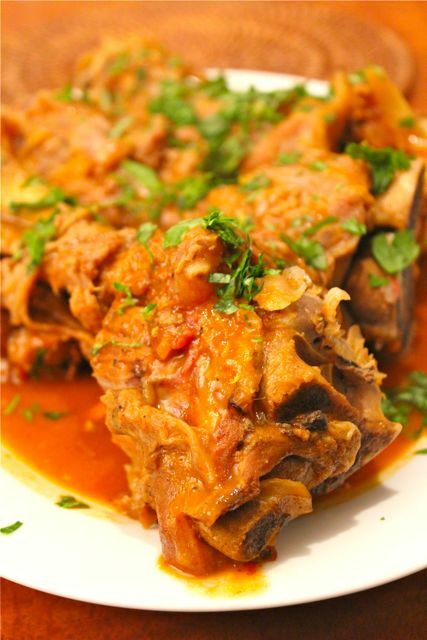 I have an cookbook of Italian dishes and one of them is osso bucco. Very similar recipe to yours and it was really good. Cebu’s Silvanas by Mrs. U. – Wickedly Good!!! Where are you? What is your Christmas food wish?